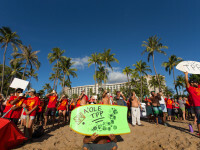 However, negotiators left Hawaii empty handed, as disputes over intellectual property laws, safeguards and tariffs for the dairy and sugar industries, as well as disagreement over the auto sector, could not be resolved. 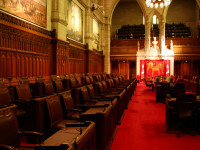 With Canada plunged into an election campaign hours later, the government sought to assure its TPP partners that it could continue to negotiate even while acting in a “caretaker” capacity. My weekly technology law column (Toronto Star version, homepage version) notes that while those negotiations are expected to resume in the weeks ahead, sources advise that Canada dropped numerous demands on key patent and copyright issues in Hawaii, likely in the mistaken belief that a concluded deal was imminent. Indeed, after withholding agreement on critical issues such as anti-patent trolling rules, website blocking, restrictions on digital locks, trademark classification, and border enforcement, Canadian negotiators caved to U.S. pressure but failed to garner agreement. At first glance, the reports on the so-called Internet traffic management guidelines suggest that net neutrality violations are very rare. My weekly technology law column (Toronto Star version, homepage version) notes that last year, there were typically a few complaints each month and all were quickly resolved. 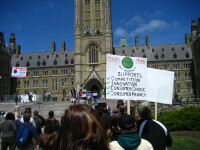 The CRTC does not disclose the specific targets or subject matter of the complaints. Yet according to documents obtained under the Access to Information Act, the complaints and their resolution give cause for concern. There are generally two types of complaints: those involving throttling technologies that limit speeds to render real-time services unusable or treat similar content in different ways, and quality-of-service issues that seem like throttling to the customer.